Hello everyone, here’s news from the front. Last month I told you about a bad news and two good ones, it’s time to explain everything. 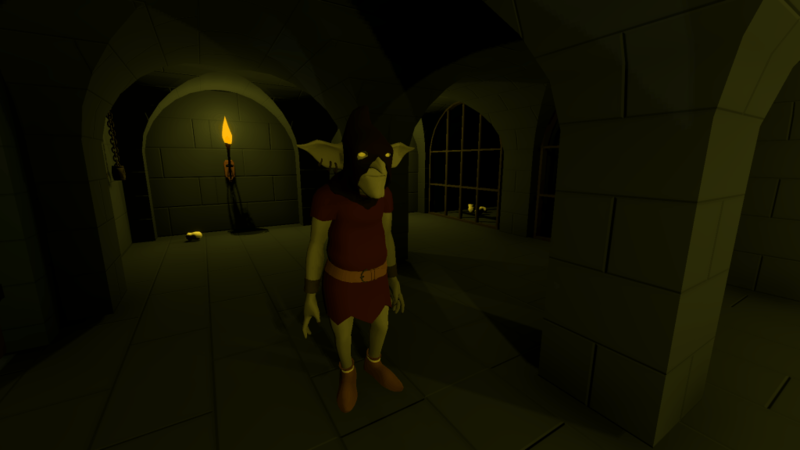 I have been working on the goblin game for 4 years. This project I imagined quick to do is actually much longer than expected. I have regularly made assessments, reviewed my schedules. I asked myself the question of simplifying the concept or making another game, but I always chose to continue because the game is really the kind of games I wanted to do. For me, there is no point in being independent if it is not to do the project “of my dreams”, while remaining achievable. It is therefore consciously that I decided each time to continue, knowing that it would be difficult. 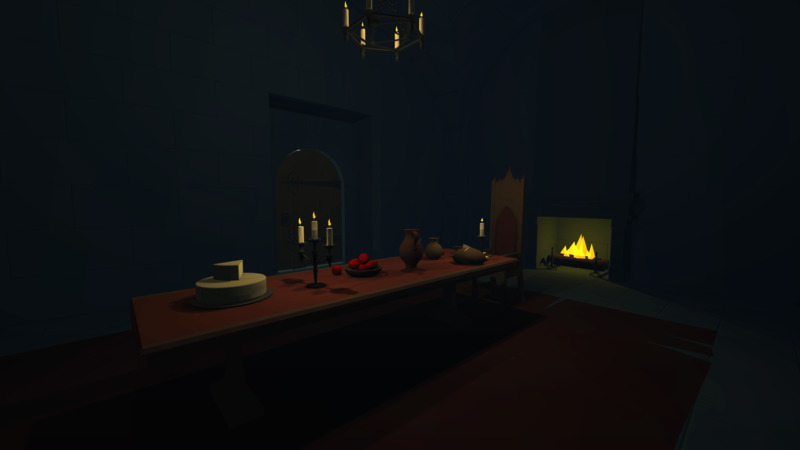 I might be tempted to be pessimistic in thinking that the game is “still not finished”, but I think that for a game made by one person, it is incredibly advanced and promising. 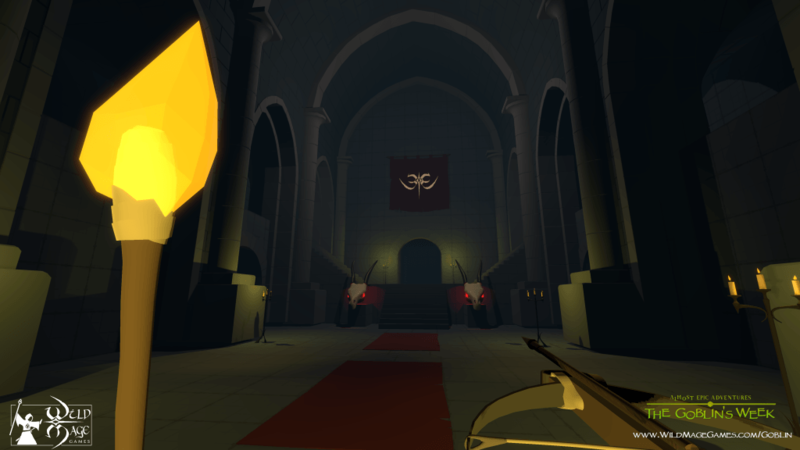 The gameplay is much richer than originally imagined, and much closer to my original inspirations (Deus Ex, Thief). Most of the elements are functional, the story is really cool, the dialogues are fun, the experience is always improving. There have also been success like Steam Greenlight, and regular feedback shows that people are still interested. In November, I planned the remaining work. I announced a long time ago that I already did 75%, but I was wrong. Some systems have shown their limitations and needed to be redone, and accumulated fatigue has reduced my work rate. I reworked the IA using Behavior Trees. I feel that I still have at least 1 year of work. Continuing like this, the risk that the discouragement will eventually prevail before the end of the project is too important, not to mention the financial aspect. Let’s not forget that a lot of the people who go into independent video games give up before the end of their first project. I do not want it to happen, because I really want to finish this game, but also create all the other games I’ve already imagined! There is too much work left to do, and too much to do at once. I first tried to divide the remaining work in different ways. Either by focusing on the elements chronologically, or on gameplay elements, or on all the playable game to improve it gradually. The problem is that my game is an “immersive sim”. All the mechanics must work at a satisfactory level to really bring the desired experience to life. I thought about releasing the game “by chapter”, especially by cutting the different days into episodes. The problem is that episode 1 represents 90% of the work, which is still too much to do at once. In addition, the organic and non-linear aspect of my game is not very compatible with this method. I thought about what could be removed from the game to make it a “minimal” game. 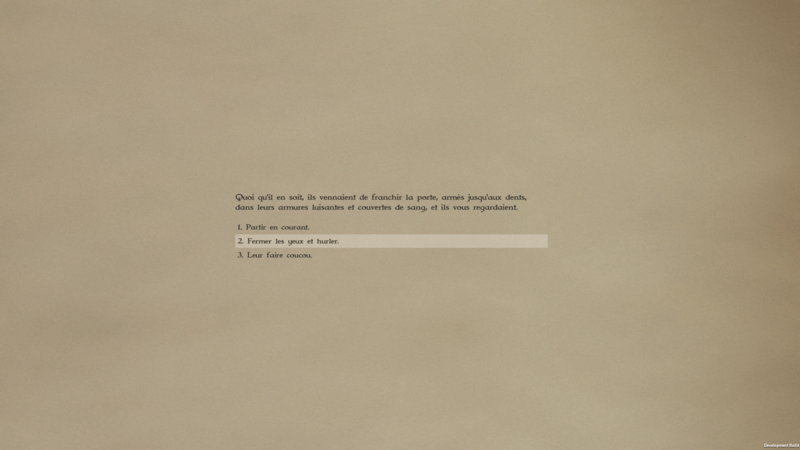 Again, the interest of the gameplay comes from the subtle mix of all components of the game. It is impossible to delete some elements without completely degrading the experience. I do not want to spoil the concept of the game. 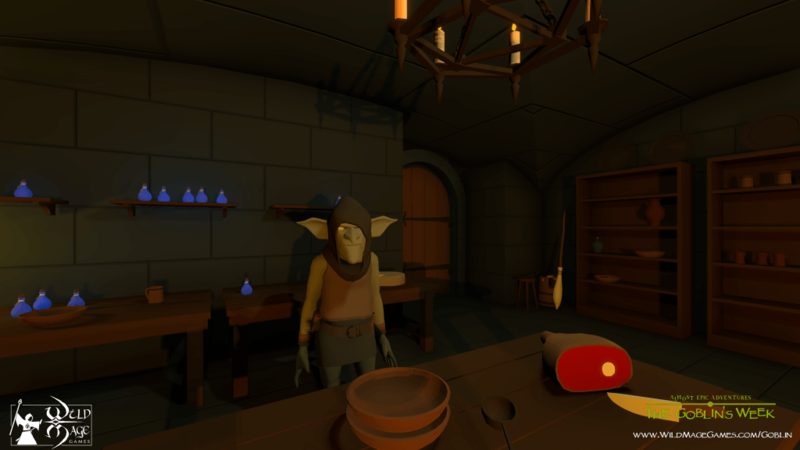 The goblin is a role-playing game that mixes several gameplay elements: trapped dungeon exploration, stealth, cleaning dungeon, adventure (stories, quests, dialogues, etc.). 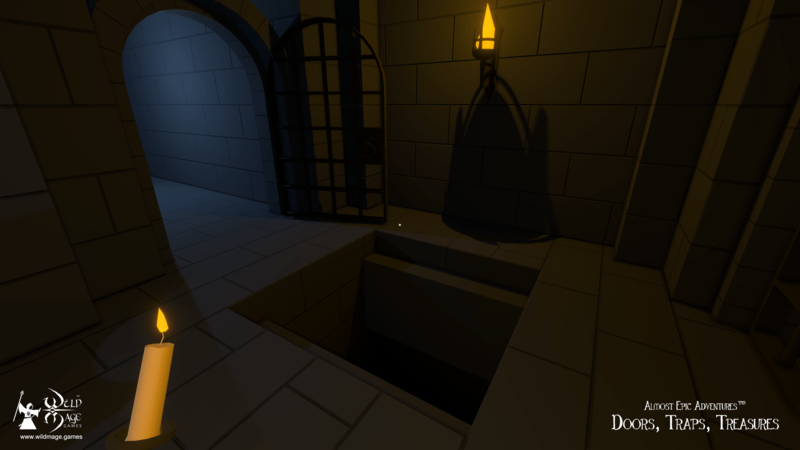 When I started working on the game, I had a dozen other projects in mind, including a dungeon exploration game. One approach to finishing the goblin might be to focus on subsets of what the goblin represents. 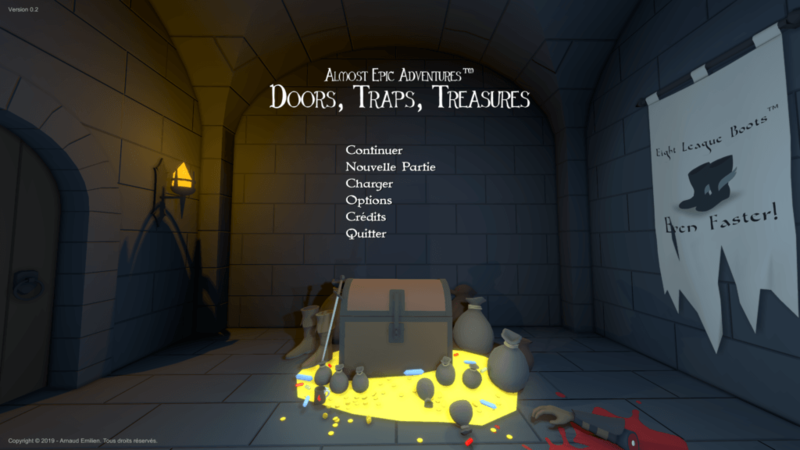 For example, doing a trap dungeon game would complete all aspects of dungeons, traps, character controls, and so on. I have always been reluctant to get into this project because I was afraid to turn away from my initial motivations. In 2016 I spent a week testing this concept, but I did not like it, especially since I had not quite grasped the experience that was trying to create through all my games. Since then, all the work on the goblin has paid off and I have a much better vision of what I want to do. 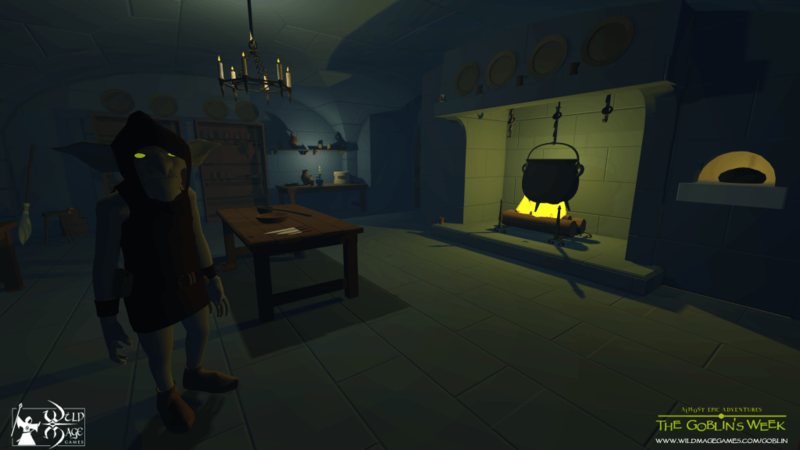 After this last assessment, and because of the great uncertainty of being able to finish the goblin before the end of 2019, I thought it was time to try again, this time with much more mature ideas, much richer gameplays. 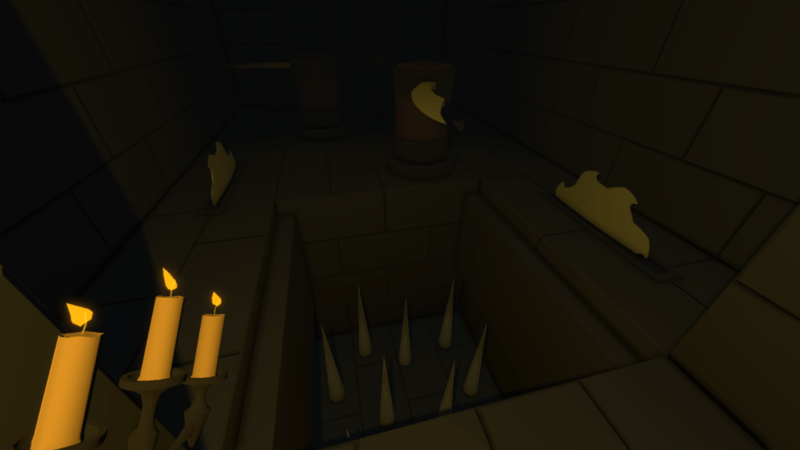 In December, I gave myself 2 weeks to make a prototype that focuses on the exploration of trapped dungeons, to see if it was feasible, and especially if it was interesting. In just two weeks, I created more than 1 hour of playable game, 8 levels, and the playtests were very positive. 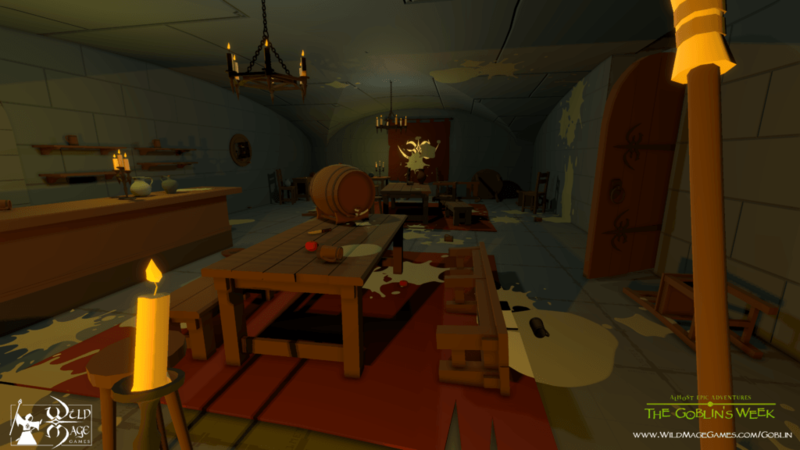 According to some testers, the game was even better than the goblin one. 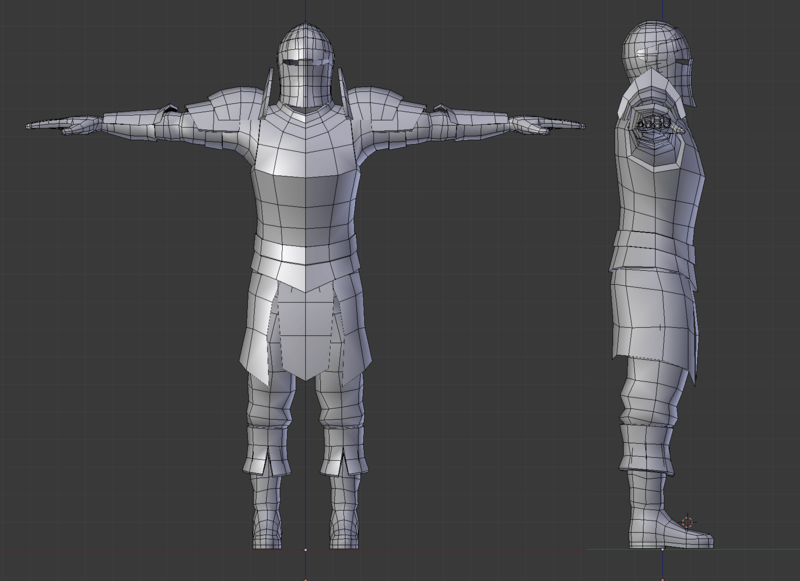 So I validated the concept and since then I am working on this other game. There are many advantages. The game is simpler, I am more efficient, I can polish the gameplay, the level design, and the amount of work is acceptable. I’m sure I’ll have a nice and finished game in a few months. This new project has also boosted my morale and creativity, and finishing it will also be a big relief, which will allow me to work on the goblin more serenely. 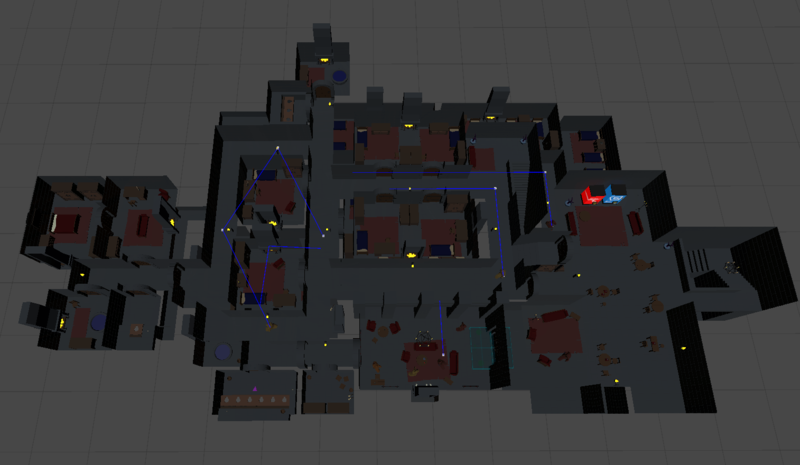 I also improve every day my level design skills, which will be useful to improve the goblin’s dungeon. Finally, the elements of this game being a subset of the goblin, working on this game also allows me to work on the goblin! We can say that working on that project is also working on the goblin project! The bad news is that the goblin will not be released in 2019. 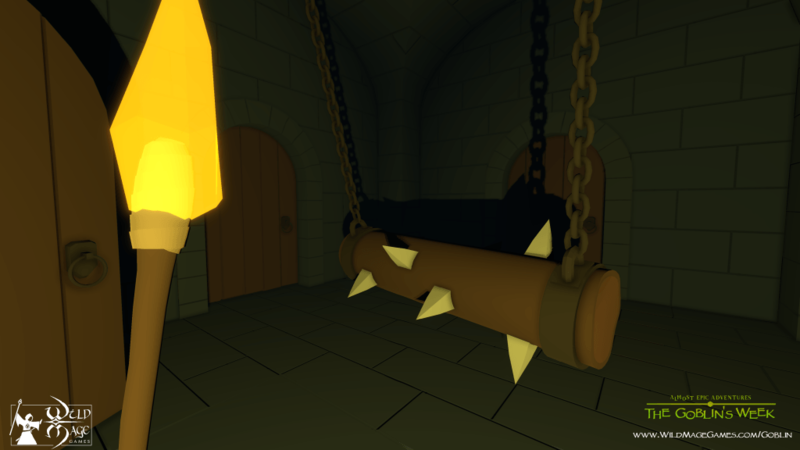 The two good news is that I’m working on an equally interesting game that will be released in the year, and that finish it increases significantly the chances to release the goblin and to improve it! The game does not have an official name yet. 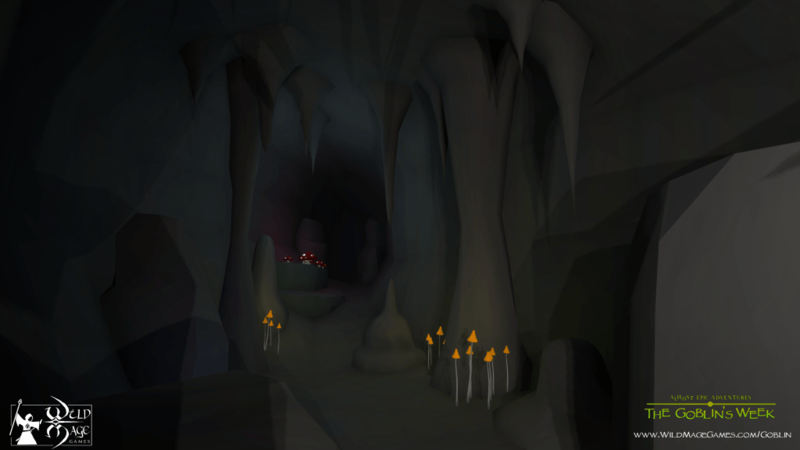 The player explores increasingly complex trapped dungeons to retrieve treasures. The traps are hidden, you have to be careful. 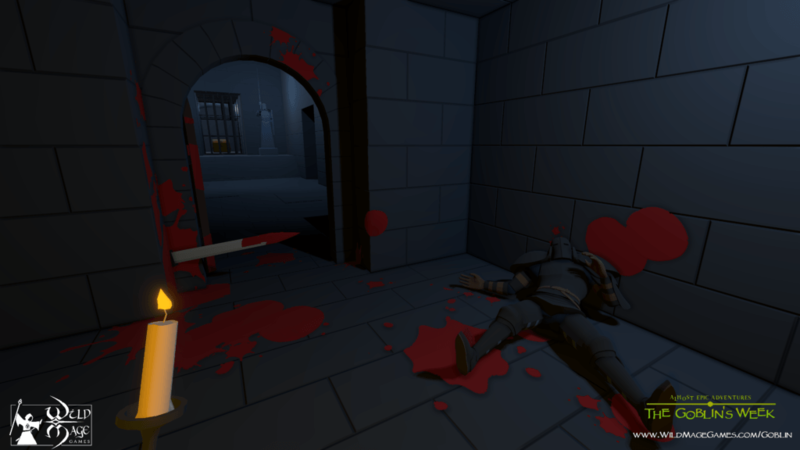 The main feature is the emphasis on interactions and physics, which allows the player to imagine his own solutions to overcome the traps. You will also find the universe and humor imagined for the goblin game. After doing several levels of prototypes I am now improving them and creating new ones. 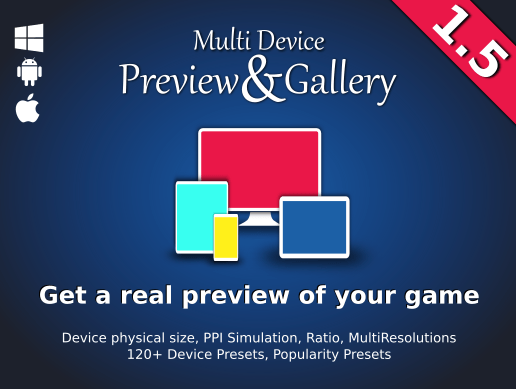 I will do very regular playtests, and I will create a presentation page in the coming months. I will keep you informed of the progress. Feel free to give me your opinion on all that. I did not post here for a long time, again, and I have many many things to tell you. The year 2018 has been very eventful, and I am writing a very long devlog to detail everything. Yes, I am still working on the game, and “it has never been so close to release”. However, that release date has been postponed, again. The project is incredibly advanced, especially for a one man team, but I finally admitted that it’s not a 2 years project for which I am 2 years late, but a N years project with N > 4. 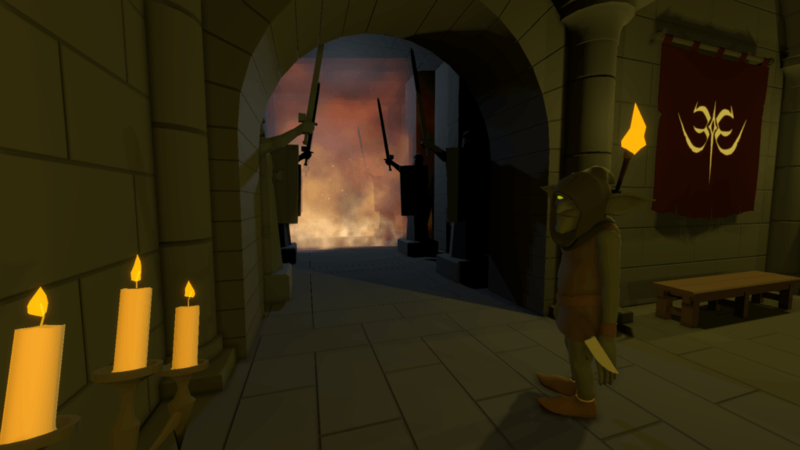 Goblin v0.3 and v0.4 are done. Most features are complete and perfectly working, some are more difficult to complete. 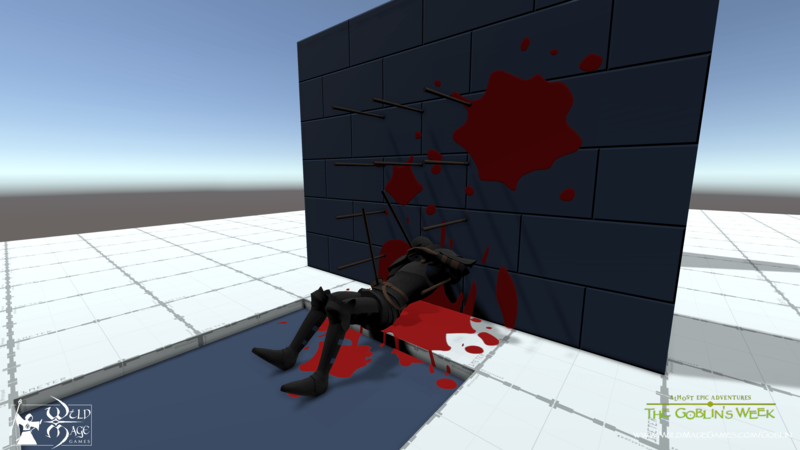 I am still facing many difficulties, including reworking on the AI and the level design. The difficulties comes from the fact that it is one big complex metroid-like dungeon in which I mix several gameplays, and getting everything to work at the same time is a real headache. 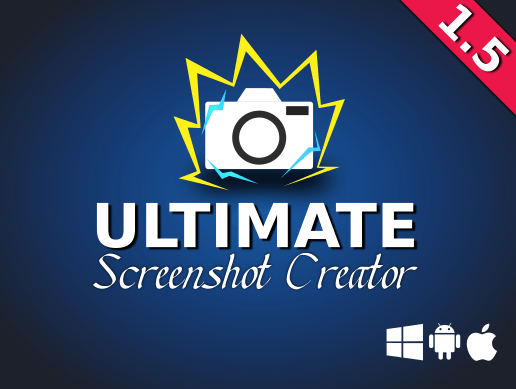 Finally, I also worked on the Ultimate Screenshot Creator and the Multi Device Preview & Gallery assets. 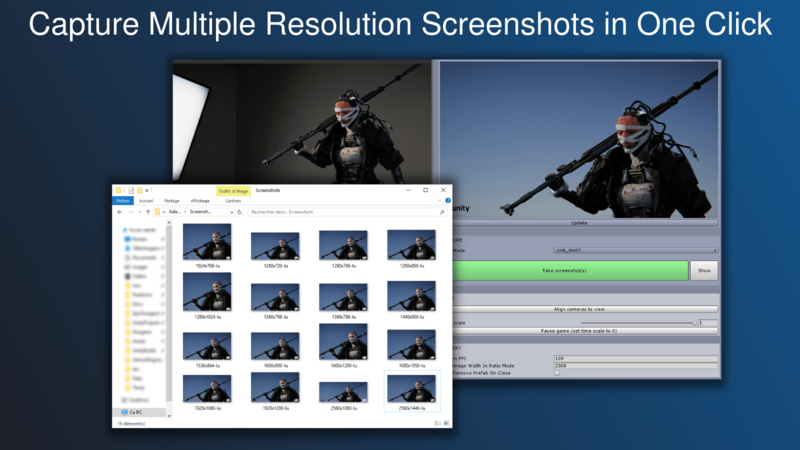 Version 1.7 will have several new awesome features, like “screenshot composition” or “device and notches preview”. The update will be out in the first weeks of January. It has already been three months since the last news, time goes too fast. I was very focused on the game and I did not have much time to feed the various social networks, etc. I will continue like this until the end of version 0.4 and start posting more again. These three months have been very productive, here is a glimpse of what I did. 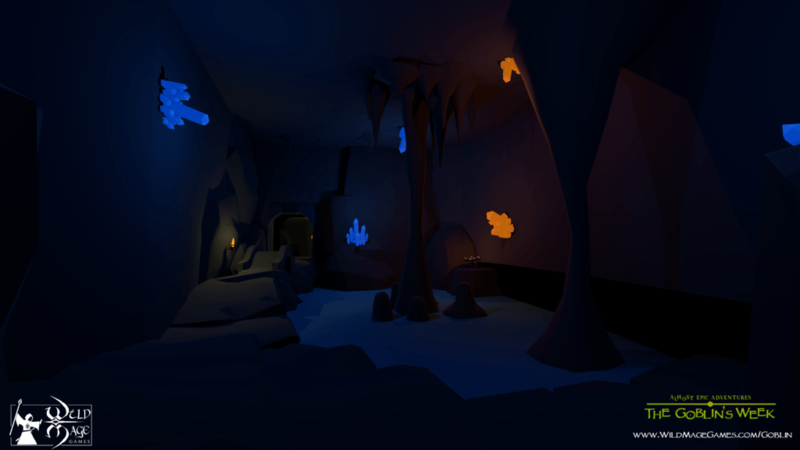 I finished version 0.2 of the game, in which the effort was focused on level design. 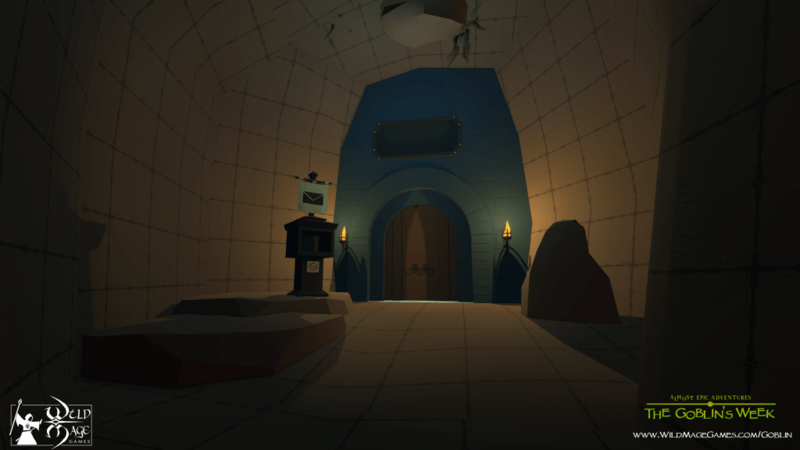 I reworked all areas of the dungeons, their shapes, sizes and connectivities, I made a first playable version of all zones. 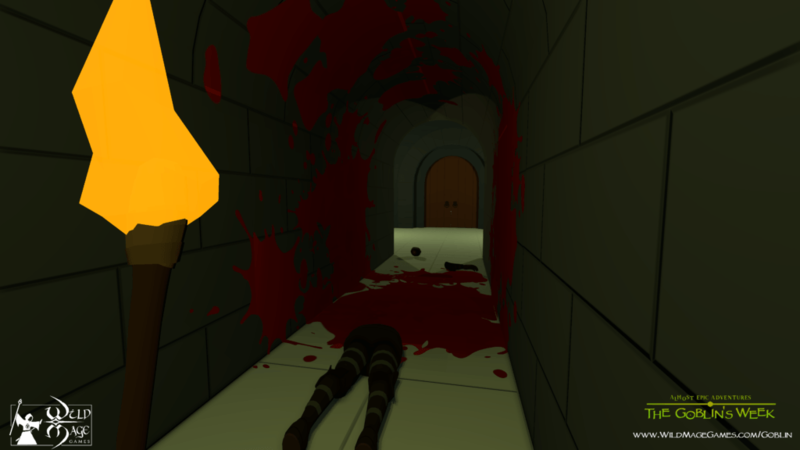 Some levels still require a lot of work but most are already very satisfying. I would love to show you pictures of all this but I do not want to spoil everything, so I will not. Thanks to that, I finally apprehend much better the game on its entirety. I have a better idea of ​​the amount of work remaining and where the effort is needed. I will also be able to choose to keep or not some areas depending on the remaining development time. I bought an asset to make decals (projecting texture on the floor, walls, or objects) but eventually it did not suit my needs, and I had to implement my own solution. 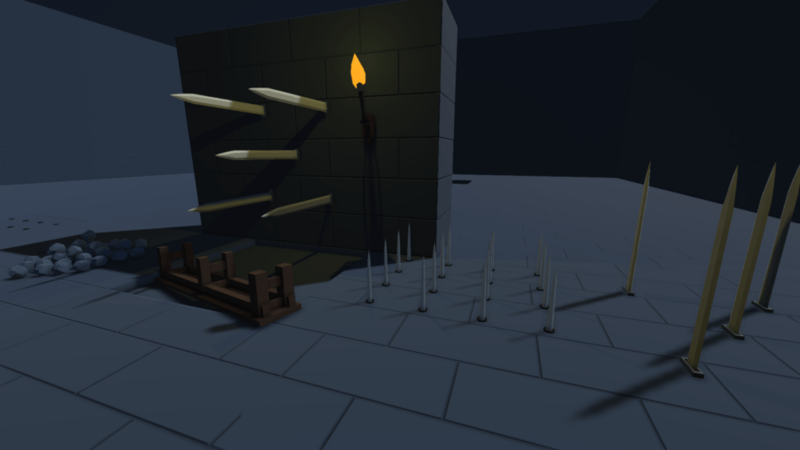 In particular, I added the possibility to display decals on physical objects, such as traps. With this new system, cleaning the traps is now much more fun. For example, a blood stain on a stunner is well animated. 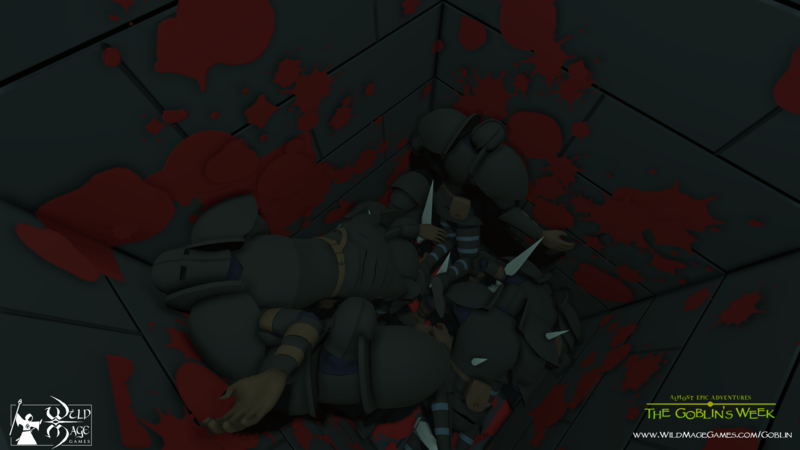 I almost finished version 0.3 of the game, in which I focus on the janitor experience. I reworked the associated missions, quests, dialogues, gameplay, etc. I am quite happy with the dialogues and opportunities for quests and missions proposed for now, and writing dialogues and descriptions with always a hint of sarcasm is something that I really appreciate. What is good with this version is that the many different elements of the game are working well with each other, and that for now it’s going as expected. The concept of the game is quite complex, I’ve done a nice diagram on paper this week that describes the interactions, which will help me make it work, but I’m sure that if it is well done it will be a game very original and very interesting to play (and replay!). There is still a lot to do, but everything is going well. 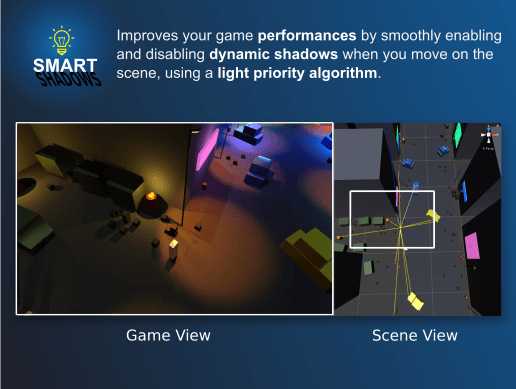 My priority in version 0.4 will be to finalize the stealth gameplay, including reworking the first associated areas, and the artificial intelligence. 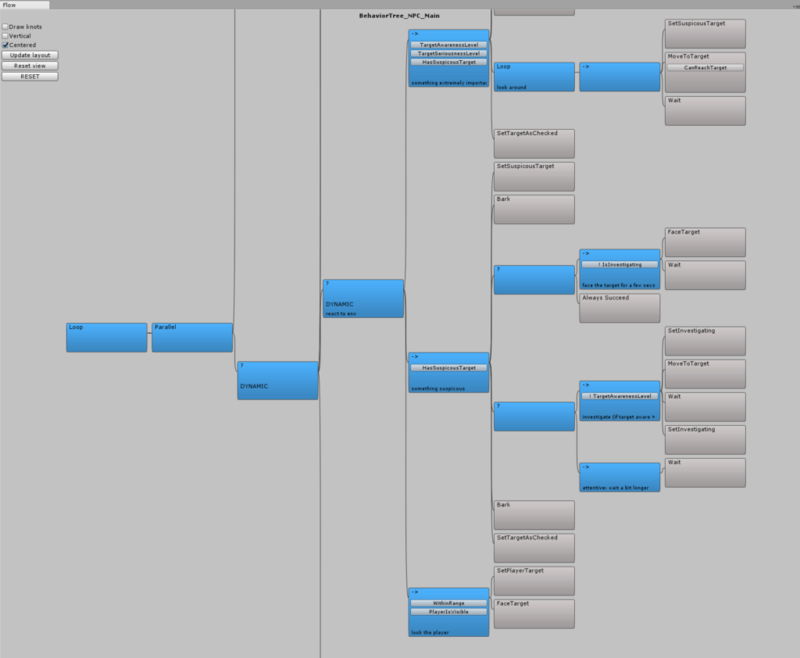 When it’s done, the whole gameplay and story base will be implemented. 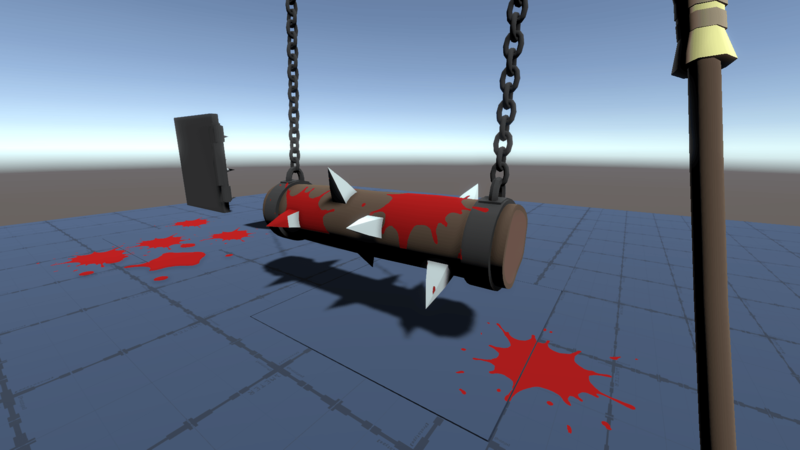 Then, I will “only” have to rework the other levels and add dialogues, 3D models, and so on. I will start to seriously look at the music and sound effects in version 0.4 to start setting them up in the 0.5. It’s been a year since the publication and acceptance of my game concept on Steam Greenlight, and the first video trailer. I announced that the game would be released in 2017, and that was not the case. The game should be released in 2018. It’s time to take a look at what has been done this year, and to present what remains to be done. 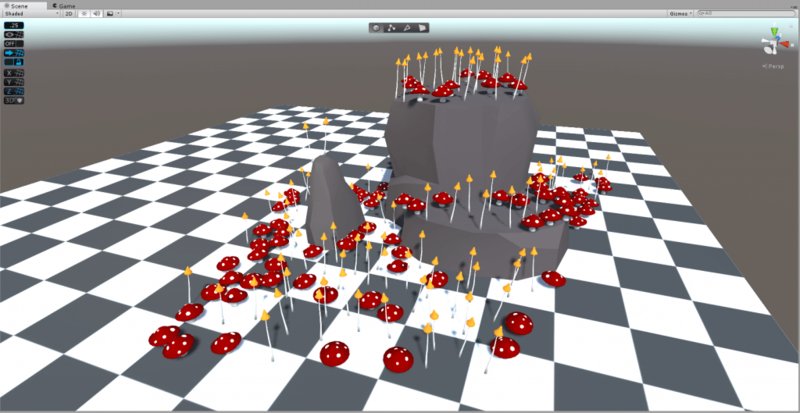 This year, I was tired of adding more and more content, accumulating bugs, temporary 3D models, unfinished features, and so on. 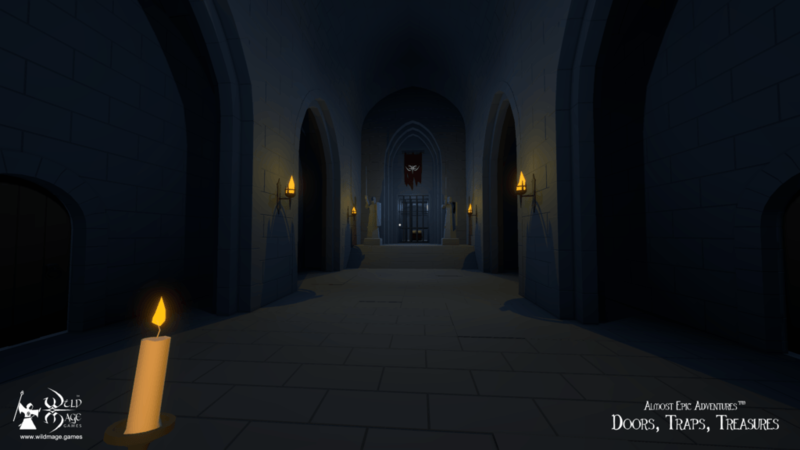 So, I focused on the first part of the dungeon, so that the content of that part is clean and polished. So I redesigned and modeled the 3D characters, they are now all ready. I reviewed the 3D models used for this part, I reviewed the meshes, optimized the physical colliders, and improved the scripts. 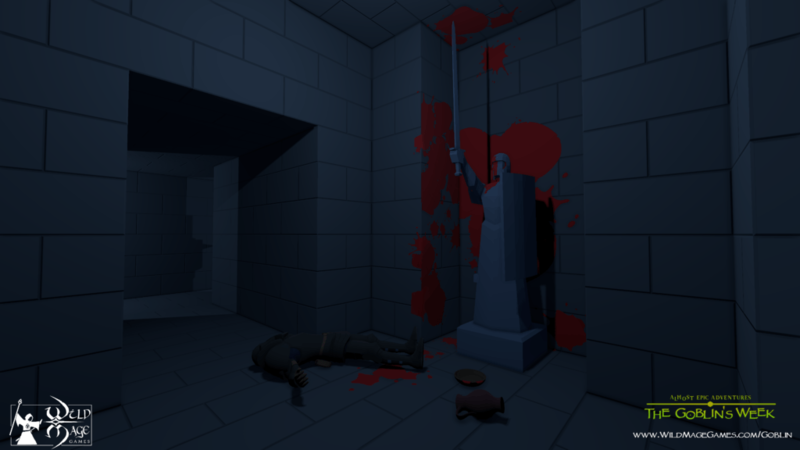 I got down to the hard task of optimizing performance, including setting up a progressive dungeon loading system. I did a thorough overhaul of a lot of the code to clean, optimize and solidify its basis. 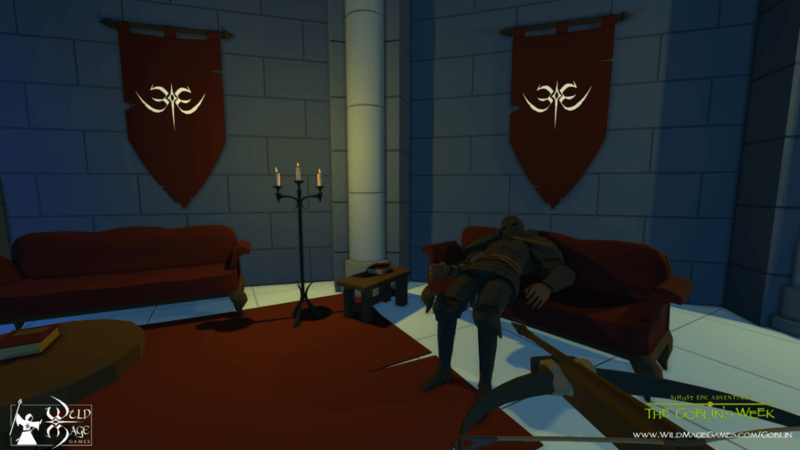 I notably reviewed the dialogue system, localization system, save system, inventory system, game management system, footsteps and collisions system, and weapons equipment system. The first level is almost complete. 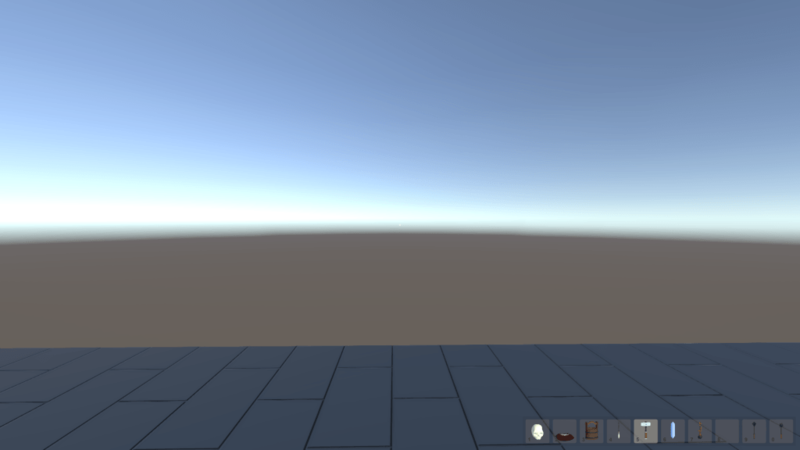 All game features are implemented, although I still have to improve some stuff. For the other levels, some are already in an advanced state, others just in prototyping phase. 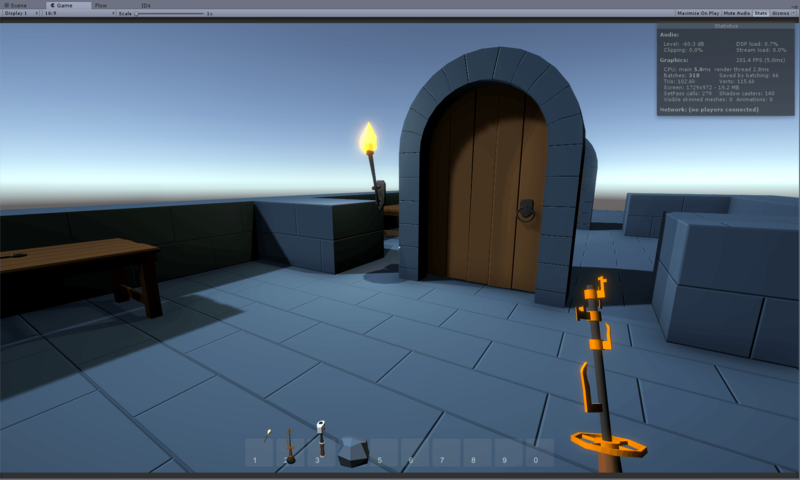 Having realized that the game development would take longer than expected, I tried to find an alternative funding source by selling assets for Unity. 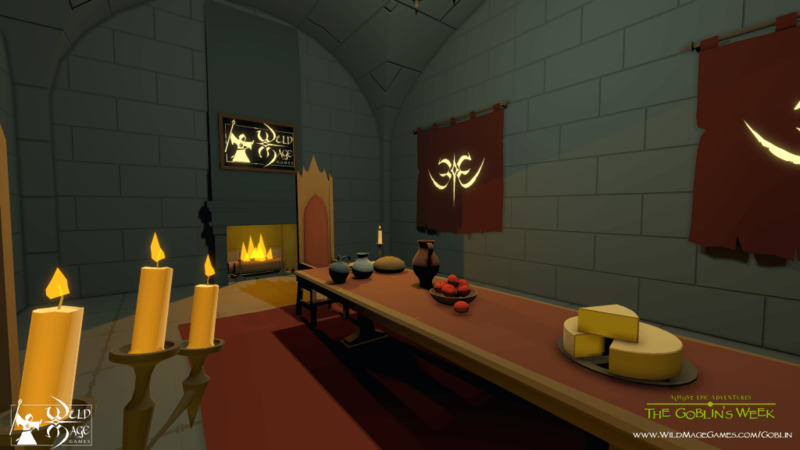 To date I have published three assets, sales are starting to take off a little but I have finally not gained more development time, compared to the time spent producing them. I would like to publish other assets, including the dialogue system, but given the required work I prefer to focus on the game. To conclude, even if the remaining content of the game is still substantial, the state of the game itself has progressed enormously. I now have a solid basis, and everything is ready to create the rest as efficiently as possible. This year, once the last elements of my version 0.1 are done, I will finally be able to work on the level design and game design, so that the gaming experience is the best possible and the closest to my goals. 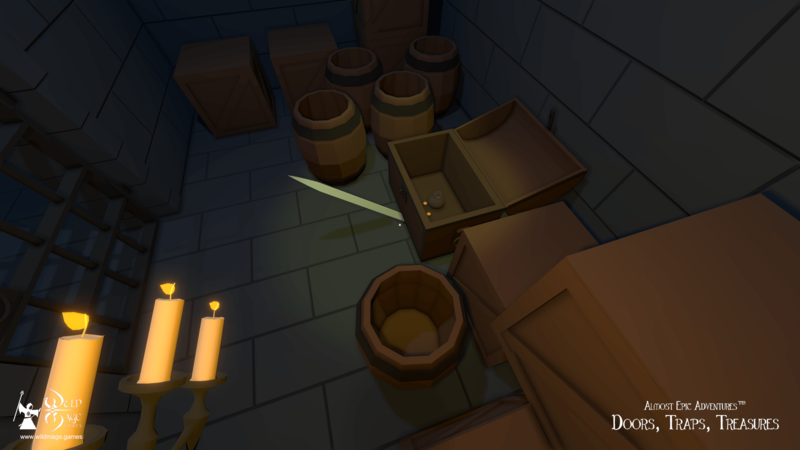 I have already started to review all levels of the dungeon either on paper or in the editor, to rework the overall game experience. I want to have a first version of all areas to get the game as a whole. I will also have a better estimate of the remaining work, and I will be able to focus my efforts, and remove areas if necessary. I will then rework the levels gradually and iteratively, and I will create the necessary content and scripts as I go along. I will of course continue the playtests, although at the beginning I will continue to favor the observation tests, at home. There are still some tasks for which I have trouble anticipating the difficulty, for instance the music composition, replacing all temporary sounds, and translating the game in several languages. 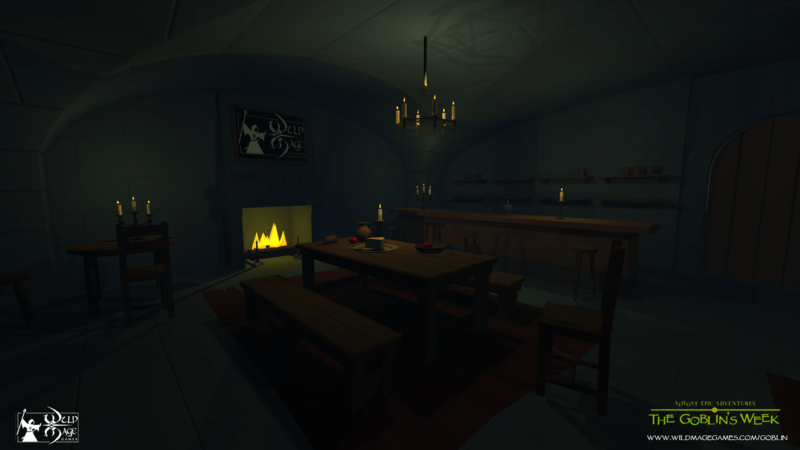 I talked about publishing a playable demo, it will not be for now. I’ll let you know if such a demo is finally released. 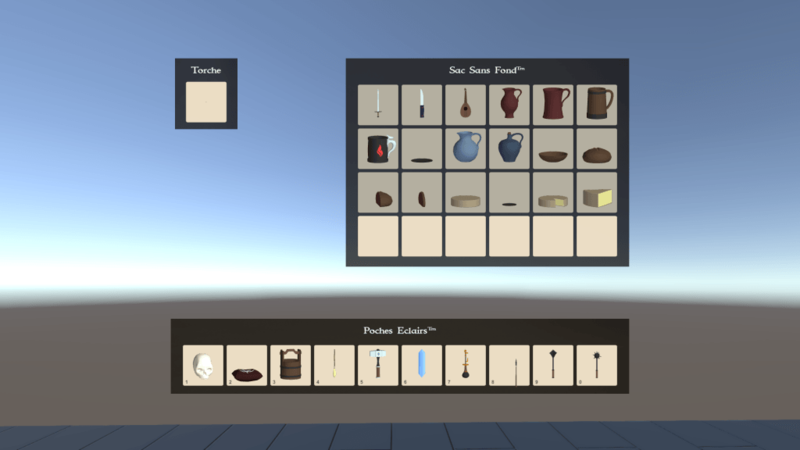 That’s it, the revision of the inventory system is complete! 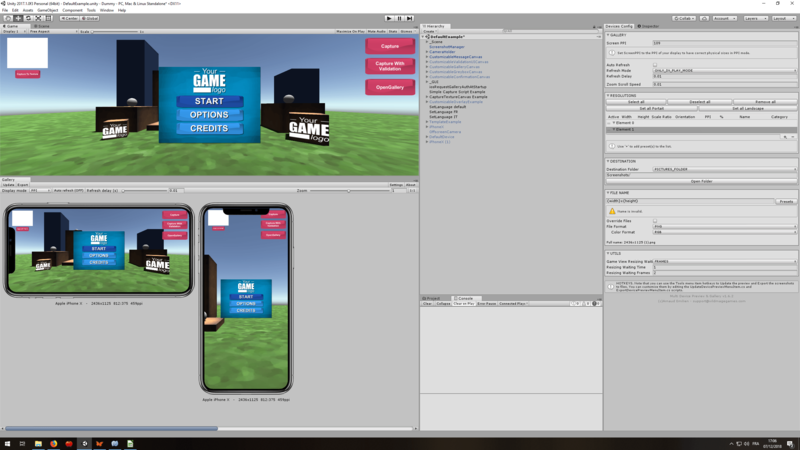 I also improved the controls and interactions to solve issues encountered during tests, such as picking up an object when you already have an object in hand, and so on. 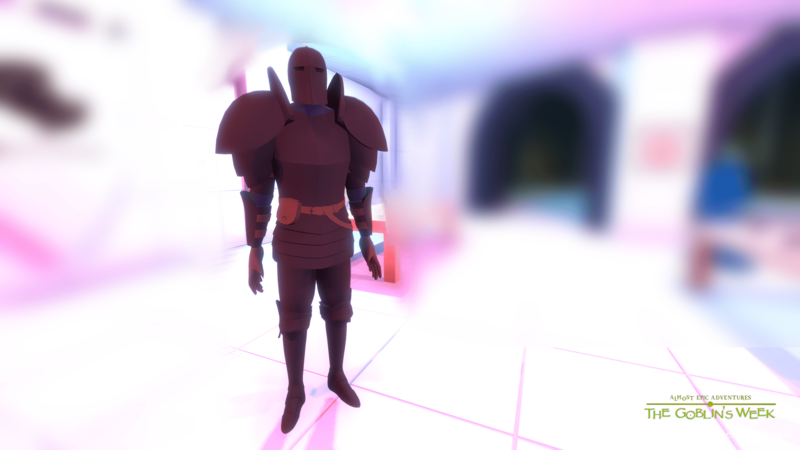 For this, I decided to separate all interactions into two groups: interact with the object in hand (left click), and interact with the world (right click), taking inspiration from Deus Ex. I was reluctant because it involves drag & drop with the right click to open the doors and drawers, but finally it works really well. We will see what the players think in the next playtests, but I think that the majority of issues are solved on this side. 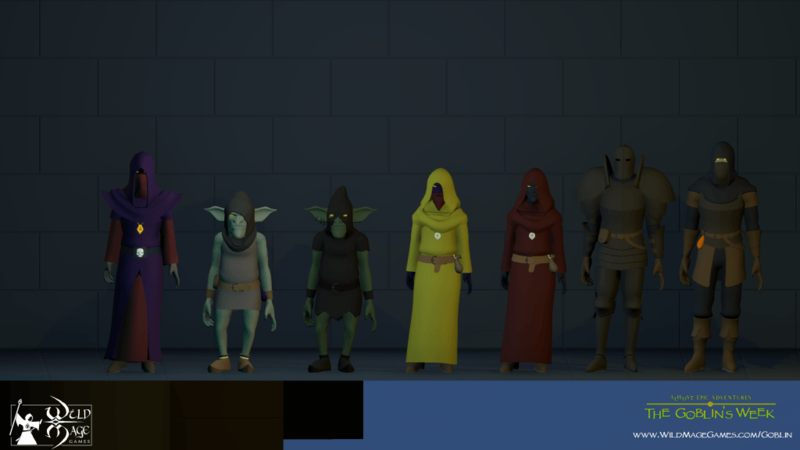 I FINALLY finished modeling all the characters. I also took the time to take back the old ones and to improve them, in order to have a uniform style. The skinning is clean and even if I have to improve the colors a little, I am satisfied with the result. An Adventurer, with an ugly anti-spoiler blur :p. There are several variations of the Adventurer that I will post from time to time. If I have the time, I will add a little facial animation, and physical animation, to give them a little more life, especially in the dialogue phases. I still need to rework the AI, and that’s it. I’ll probably do a little post with before and after comparison to show the improvements between the versions of the characters. I said I stopped making assets because it took too much time, but I wanted to try again, to see. And it also allows me to vary my activities a bit. In order to make my previous assets a little more attractive, I decided to review their logos, as well as the images used as examples on the asset store. I am very interested in your feedback and criticism. Do not hesitate to give me your opinion on the presentation videos, if I ever decide to spend some time to remake them. I still have to make some code changes, which I have a lot of trouble finishing. I finally started to iterate on the first part of the game to improve the gaming experience (and everything else), and I will soon start doing more level design to exploit the possibilities of gameplay. 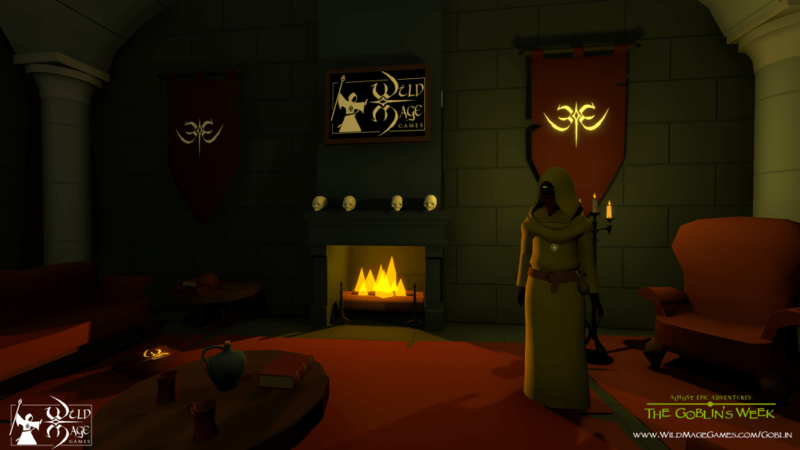 In the last two months, I finally finished the last demo to test the game experience. Thanks to Cédric, Gaëtan and Pierre-Luc for coming to test the game. After deep analysis, I think the game is full of potential, but still requires a lot of work to make it really successful. The level design needs to be reworked, the artistic style improved, the reactions of the NPCs corrected, and there are still problems with the inventory. But the current content is a good base on which to iterate. After long performance tests, I realized that my 3D models needed to be reworked to improve rendering and physics performance. I take this opportunity to redo an artistic pass, improving the current objects, and creating new ones. I am also working on the atmosphere, especially in terms of lighting. Since my current job is to revisit the artistic style to make beautiful images, I will publish on the site one image per day until 25th december. You will find every day a new image on the devblog. Since this is still a work in progress, I strongly invite you to let me know your impressions. To avoid spamming you I will send only a second mail on the 25th when you will be able to see all the published images. I am therefore reworking the art style, in order to redo the presentation page of the game. Also, I am preparing a video trailer which I will use as a promotion base. 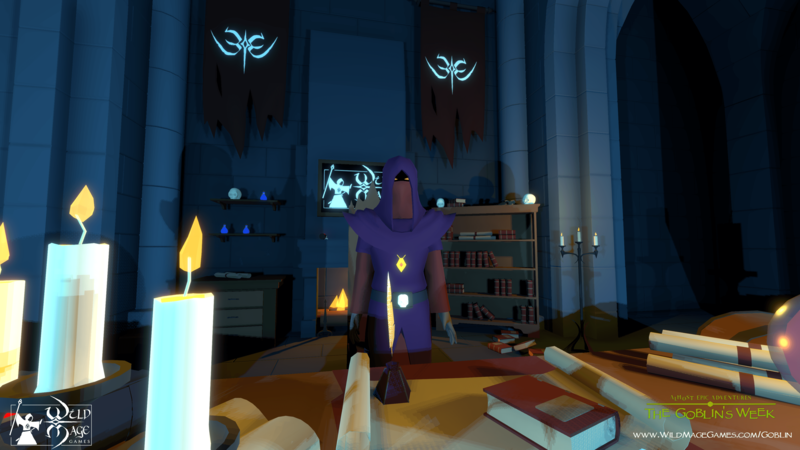 The idea is to be able to launch a Kickstarter early next year to finance further development.